Bargara Golf Club boasts a vibrant and active Ladies membership with a current membership of 150+ and growing constantly. Our annual Bargara Ladies Classic is one of the most popular golfing events in Queensland attracting 250+ players from all over Queensland and Australia. Our ladies have regular weekly competitions on Thursdays and Saturdays and also run a Bargara Belles group who play 9 holes on a Monday morning for learners and players new to the game. Our ladies were very lucky to avoid all the rain as it had almost completely passed by the time most of our Ladies teed-off. Not so lucky though for those who had decided to play early. Our smiling Easter Bunnies this week are, in Division 1 with a Nett 69, Alison Curd and, in Division 2 with a Nett 72, Jackie Beer. Janet has obviously been passing on some of her local knowledge. Well done girls. Congratulations to everybody who made the effort to dress up and support the Golf Club’s Cancer Day. As you can see from the photos below everybody had a great day. Janice and Vicki combined Cancer Day and Easter for their outfits and according to Vicki they are dressing as nurses next year – should be interesting. Great work by our Ladies Committee selling raffle tickets and organising today’s event, here’s Marg and Barb trying to con me out of some money – how could I resist such smiles!! This event is always a great success so our Ladies should be proud of all the work they put into it for such a worthwhile cause. The Ladies Open Day, sponsored by YMCA at the end of March was well supported by members and a great turn out from other local clubs, Thank you to all those who supported the raffle with donations and tickets. Wide Bay women’s midweek Pennant team played at Hervey Bay on the 5th April, Bargara played ISIS but lost 3 – 2, next round to be played at Maryborough 12th April against Bundaberg, Good Luck to our Pennant Ladies !! Don’t forget Cancer Day Thursday 11th April, lots of prizes to be won and all in a good cause. Also Good luck to the Ladies going to Gladstone’s Open Day on Friday 12th April and Maryborough’s Open Day on the Sunday 28th April, Nomination form in the Ladies room. The month of May will see the Mixed Foursomes 27 holes championship, Country week and the four rounds of the Ladies Championships. It is the first of two Monthly Medals in 3 days, and cream has risen to the top. Never far away when the big competitions come round winner of Division 1 was Margaret King, by the slimmest of margins, winning on countback with a Nett 69. Perennial runner up falling one shot short again was Marg Taylor. In Division 2 Jan Rancine took the honours with a solid Nett 72 by one shot from Fiona Weekes. Fewest putts was Janine Smith with 28. For those of you who didnt quite reach your peak you’ve got another go on Saturday. We all wish Marg Zande a speedy recovery and a quick return to the Golf Course. CAPTAIN CONSISTENCY: Saturdays. To be played from 2nd February to 2nd November. To qualify a minimum of seven (7) rounds of stroke events to be played including the two (2) Saturdays of the Club Championships. The winner will be judged on the lowest average from the best six (6) nett scores. ECLECTIC: Saturday and Thursday. Saturday to be played 2nd February to 16th November.Thursday to be played 7th February to 14th November. MONTHLY MEDALS: Thursdays : 7th Feb, 7th Mar, 4th Apr, 2nd May, 6th June, 4th July, 1st Aug, 12th Sept, 3rd Oct, 31st Oct.
Saturdays : 2nd Feb, 2nd Mar, 6th Apr, 4th May, 8th June, 6th July, 3rd Aug, 14th Sept, 5th Oct, 2nd Nov. MONTHLY MEDAL PLAYOFFS: Thursday – 14th November, Saturday – 16th November. LADIES PATRONESS DAY: Thursday 14th March. CLUB CHAMPIONSHIP: 3 Divisions (1st Rd. Sat. 18th May. 2nd Rd. Sun. 19th 3rd Rd. Sat 25th May 4th Rd. 26th May. WOMENS’ FOURSOMES 27 HOLES CHAMPIONSHIPS: Sunday 9th June. TURTLE CHALLENGE: 4B AGGREGATE: Played over two consecutive Thurs -1st Rd 20th June 2nd Rd. 27th June. GQ BROACH: (Best 3 Count) Saturdays. 2nd Mar, 6th Apr, 4th May, 8th June, 6th July, 3rd Aug.
INTERNATIONAL BOWL: Weekends over 3 Rounds – 3rd June, 22nd June, 29th June. WOMENS’ 4BBB CHAMPIONSHIPS: 1st Rd.31st Aug, 2nd Rd. 7th Sep.
4BBB BEST BUDDY: Donated by Carmen Carter. Best Buddy is won by the best 3 scores played with different lady golfers during the year. GOBBLER: Each Game. All players to receive a mini chocolate. A gobbler is a ball chipped or putted from off the green into the hole. Each game the player will record the amount of Gobblers she has had in the Gobblers book which is in the ladies room. Nominations for the Ladies Classic 2019 will open on July 29th at 10AM. If you wish to relive last year’s event please click on the link below. In celebration of the Bargara Ladies Club Championships we have created a special webpage with extensive coverage of this major event. For all the latest news, photos and results relating to the Bargara Ladies Club Championships please click on the link below. Want to learn to play golf? 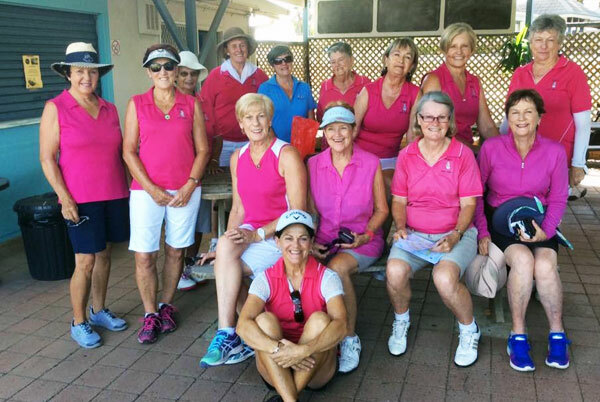 The Bargara Belles are for female beginners and learners and play 9 holes every Monday at 8AM. A friendly atmosphere to help you learn to play and enjoy golf. Players of all standards welcome. 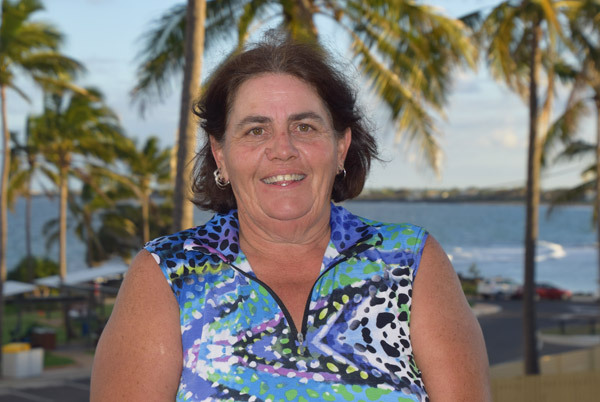 Our Ladies Committee consists of 8 members and is lead by our Captain for 2018 Kasee Marxsen, with our Patroness being Val BAZLEY. Their aims are to promote Ladies Golf within the Club, organise and administer Ladies Golf competitions and events and to encourage ladies within the community to play golf and enjoy our wonderful sport.